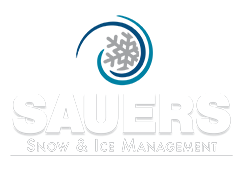 Snow and Ice Management Jobs at Sauers. We are always on the lookout for skilled professionals and independent contractors who are just as passionate about service excellence as we are. If you’re interested in joining an industry-recognized and awarded commercial property maintenance company, please contact us. We’d love to hear from you! Companies or individual owners of a truck or fleet of trucks with snow removal capabilities as well as companies or owners of skidsteers, loaders, dump trucks, backhoes, pusher boxes, and salting equipment needed. We have small, medium, and large sites; mostly payable on a per inch contract basis. Contact us to learn why working with Sauers may make sense for you. A seasonal area manager ensures that job sites are being managed during snow and ice events according to the scope of work that we have with our clients and according to ANSI and ISO standards. This is a supervisory position that’s on call throughout the winter storm season typically beginning November 1 and lasting through the duration of the season (March 15/March 31). Shifts encompass pre-event planning and communications and last through post-event site inspections followed by helping the office navigate through paperwork and verify/clarify event details. You will communicate between clients, crews, mechanics, administrators, and other account managers throughout the season. Experienced help needed to drive our plow trucks and salt trucks, and to operate our skidsteers, backhoes, and loaders. Experience with snow pushers is also preferred. Competitive pay rates based on experience and qualifications. Year-end awards ceremony. Click here to apply as a driver. Click here to apply as an operator. Non-experienced positions available for shoveling snow and applying ice melt to sidewalks. Driver’s license preferred, but not mandatory. Competitive pay rates based on qualifications, driver’s license, and transportation status. Year-end awards ceremony. Click here to learn about our open snow and ice management jobs.